After a long day on my feet, I love to kick off my shoes and slide on some slippers. 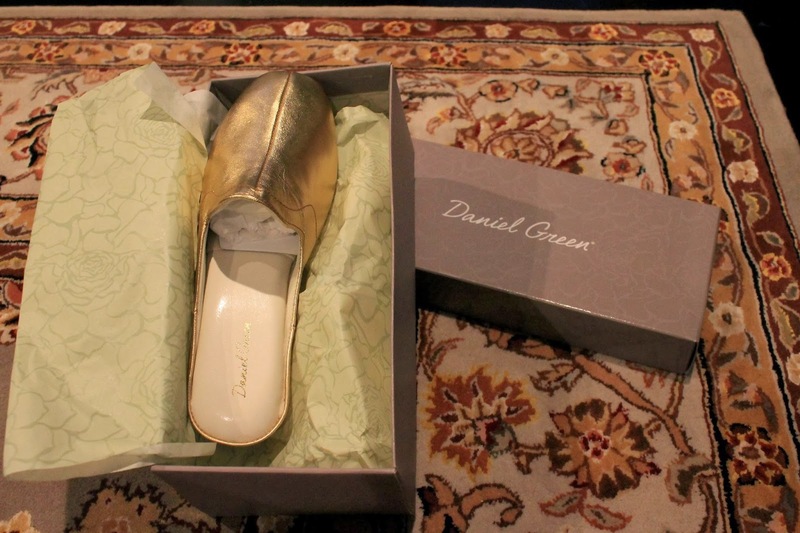 Daniel Green keeps me in cozy style this holiday season with their fabulous slippers. Whether I'm lounging at home or out to run a quick errand, these slippers provide top-of-the-line design combined with supreme comfort and gorgeous style. 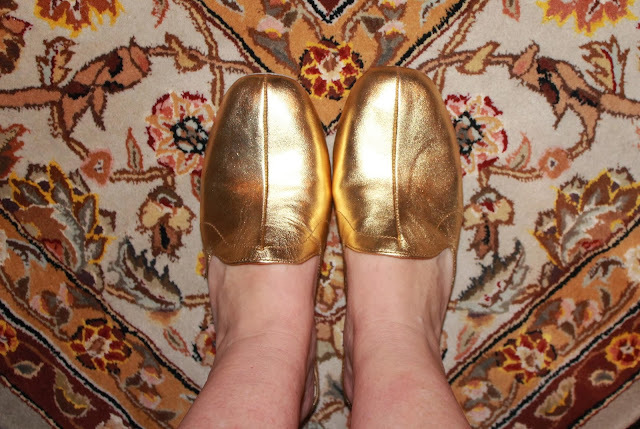 Daniel Green sent me a pair of their Glamour wedge slippers to take for a test drive and they're so comfortable. 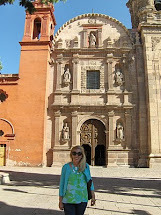 I love the wedge heel and the gold color. The don't look like the typical slipper! I would recommend sizing up in these. It felt like I was walking on air all day long! I wore these on Thanksgiving day while I was cooking and entertaining and everyone wanted to know where they could get a pair for themselves. 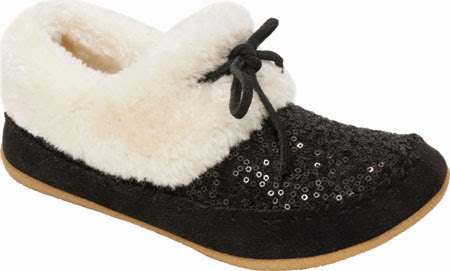 Cozy print fleece lined Karoline quilted slippers are soft and padded. You can even wear them outdoors. 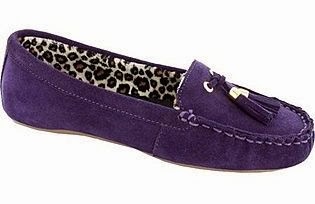 The leopard print linings of the traditional Kira moccasins are adorable and would make a perfect gift for your favorite fashionista. For the girl who loves a pop of glam, the Jordyn is sure to be at the top of her list. These slippers are my girls' favorite pick, with shiny sequins at the top of the bootie. Daniel Green is offering a special promotion now. Get 20% off everything with the code CYBER20. There's always free shipping and free returns, too. This is such a funny post because my grandmother who passed away 20 years ago was OBSESSED with Daniel Green slippers so this made me think of her. I had an aunt that I thought was so glamorous and she wore those exact slippers! Aww, those make me miss her! So funny Gracie Beth and Living Life in the Lowcountry...I had a glamorous aunt who lived in Daniel Green slippers, too!